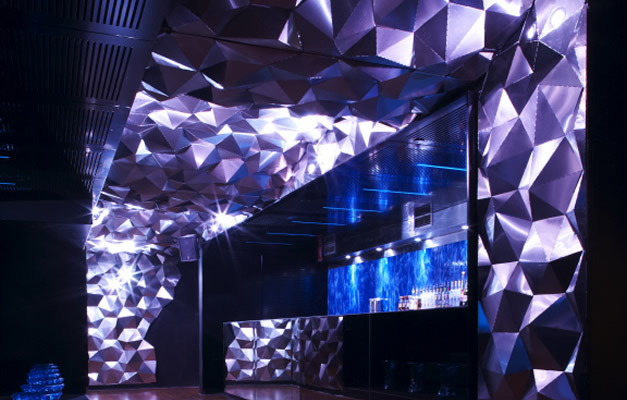 The Soho Nightclub fit out was one of our most challenging interior projects to date. The installation needed to be lightweight, resilient, cost-effective and meet all fire safety standards. Working with concept drawings from interior architecture consultancy Cusp* the task was to realise a captivating, almost fantastical metal cave with protruding, geometric tiles. Testing first began by 3D CAD modelling the scene to ensure the tessellation of the hexagonal tiles. After several prototypes and weeks of testing, the result was the production of thousands of perforated, stainless-steel tiles. Each tile was carefully bent and riveted to shape at the Box and Dice workshop. The wall is in fact modular and is held onto an adaptation of our patented Wovin Wall grid components. 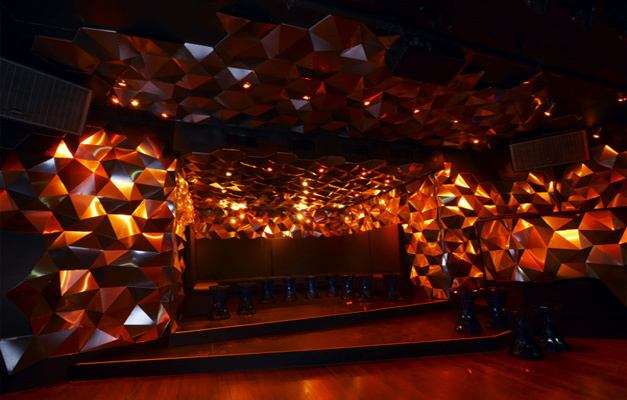 The Soho metal cave is an impressive installation that seems to crawl across the ceiling, lurk around corners and beam a kaleidoscope of colours as the lights bounce off each facet. If you’re game you can visit the Soho Nightclub in Kingscross, Sydney, otherwise, we hope you enjoy the pics below.